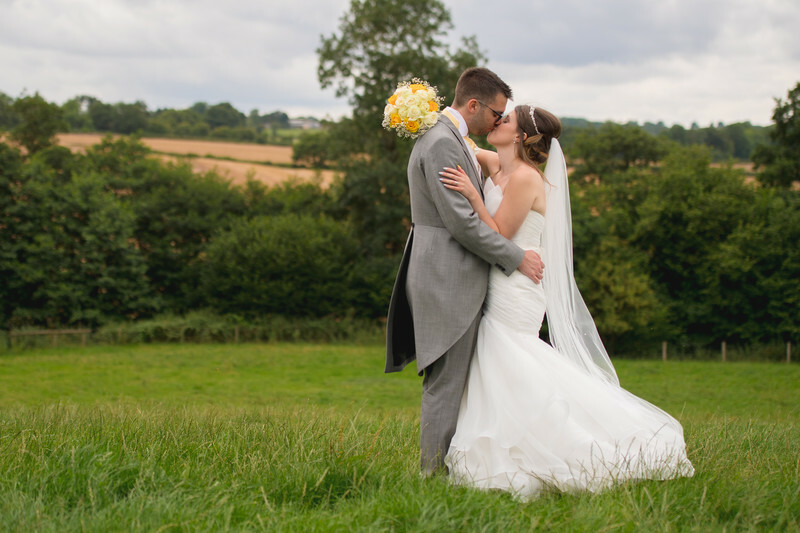 Justine and Stephen got married at St Peters Church in Bromyard on a bright and sunny summers day before having a DIY wedding reception on a family farm nearby. I had my pre-wedding meeting with the couple only a week before the big day. It was one of the wettest days I'd ever experienced and turned up to a farm in a suit and some rather expensive shoes which I've not been able to wear since! 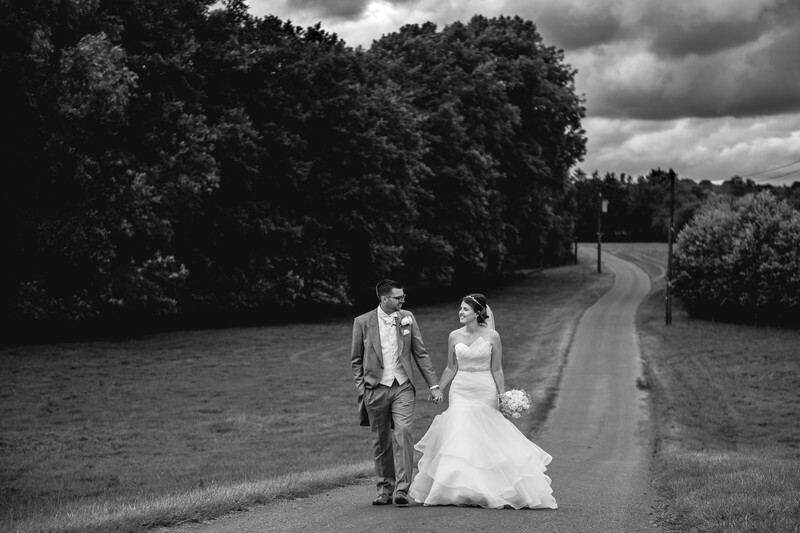 When I asked where the marquee was going to be, and I was pointed to a small patch of field in the middle of the farm, I wasn't convinced that the young couple could pull it off. But pull it off they did! Justine and Stephen threw an incredible wedding reception. The marquee was dress immaculately and most of the decorations inside had been prepared by friends and family of the bride and groom. The cake looked amazing and the table centrepieces were on point. When you're working at a well established wedding venue, there are certain places that you know work well for wedding photos, and if they're not immediately obvious, you can always get inspiration online or in sample wedding albums. With a DYI wedding, which can be held literally anywhere, you're presented with a blank canvas and the photographic world is your oyster. I took a range of photos around the farm, and one of the images I like the most is the one above. It's so simple; My signature pose and the gorgeous Herefordshire countryside as a backdrop. The farm drive proved to be a pretty spectacular location too!